Richard was born in Warrington, Cheshire, United Kingdom on the 2 January 1970. Keen Manchester City football fan since birth. In January 1986, became the youngest ever student up to that date to join the Royal Meteorological Society at the age of 15. Obtained an 'O' Level in Geography in November 1986. Obtained a GCSE in Meteorology and Oceanography in June 1988. Obtained an 'A' level in Geography in June 1989. A Fellow of the Royal Meteorological Society (FRMetS) at sporadic intervals since October 1990 to present. Obtained a Certificate of Higher Education in Environmental Science with Geographical Science from the University of Bedfordshire in June 1992. Tornado and Storm Research Organisation (TORRO) member between the years 1993-1998. A Member of the National Geographic Society since January 1993 to present. Achieved a BSc (Hons) degree in Geography (2i) from the University of Derby in June 1994 with a final year project titled: 'A History of Blizzards over the United Kingdom in Relation to Lamb's Weather Types' (Grade A obtained). Produced 34 research articles and 2 books relating to snow/blizzards/weather in several academic publications including the The International Journal of Meteorology and Weather since 1994 to present. Undertaken numerous talks at several Universities (including the University of Birmingham, University of Derby and University of Oxford-Brookes regarding snow/blizzards since 1994 to present. A Member of the Association of British Climatologists at sporadic intervals since January 1995 to present. A Fellow of the Royal Geographical Society (FRGS) at sporadic intervals since January 1996 to present. In July 1997, achieved a City and Guilds certificate in Teaching (stage 1) in further and adult education from New College, Nottingham. Employed at WeatherNet Ltd, Bournemouth, Dorset, UK since the 10 July 1997 to present as a Senior Meteorologist (10 July 1997 – 31 December 1999) and since the 1 January 2000, appropriately titled Weather Services Commercial Manager. Since April 2007, I have also been titled as Senior Forensic Meteorologist. Main work roles: Producing weather related legal reports on legal cases such as road traffic accidents (RTAs), personal injury claims (falling, tripping and slipping accidents) and other criminal and civil cases etc. for lawyers, solicitors, the police force and the general public. Also responsible for overseeing all weather-related activities at WeatherNet Ltd including producing weather forecasts and issuing weather warnings. Staff member of the Tornado and Storm Research Organisation (TORRO), Oxford, Oxfordshire, UK. Role within TORRO is Research Leader of Heavy Snowfalls which is a part of the Thunderstorm and Severe Weather Division. I founded and have held this post since July 1998 to present. Responsible for snow research, data collection and publications of heavy snowfalls and blizzards across the UK and the World. Provided countless interviews on local/national radio and written/bespoke quotes and articles for local and national newspapers since 1999 to present. 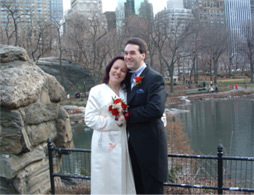 Married Marina in Central Park, New York City, USA on the 24 December 2002. Vetted by the Expert Witness Directory since January 2005 to present. 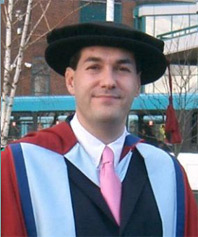 Achieved a PhD in July 2005 with a thesis tile of 'A spatial and temporal analysis of heavy snowfalls across Great Britain between 1861-1999' after 10 years of part-time study at the University of Derby. Interviewed by Chris Evans on Radio 2 on the 19th December 2006 about snow research and White Christmas prediction (Hear the interview here). Member of the UK Register of Expert Witnesses since February 2007 to present. Credited on the Channel 4 programme 'Britain's Worst Weather' – Snow (first shown February 2007). Member of APIL (Association of Personal Injury Lawyers) since April 2007 to present. Member of the Academy of Experts (MAE) since June 2007 to present. Credited on the film 'Harry Potter and the Order of the Phoenix' as a weather consultant (released July 2007). Vetted by the Round Table Group since October 2007 to present. Interviewed by Sally Taylor on BBC Radio Solent on the 22nd December 2007 about the odds of a White Christmas (Hear the interview here). Interviewed by Sally Taylor on BBC Radio Solent on the 22nd February 2008 about the heavy snowfall that fell across Southern England (Hear the interview here). Trained 'in the aspects of report writing' by Bond Solon since July 2008 to present. All legal reports therefore written for future weather related legal cases will comply with this training. Member of the Forensic Science Society (MFSSoc) since June 2009 to present. Credited on the film 'Harry Potter and the Half-Blood Prince' as a weather consultant (released July 2009). Interviewed by Phil Reay-Smith, ITV News on the 20th May 2010 (the interview was televised on the 1pm news bulletin on the 21st May 2010) concerning the launch of Bournemouth Weather. Included on the NPIA (National Policing Improvement Agency) Expert Advisers Database since September 2010 to present. Vetted by the Expert Witness Directory of Ireland since October 2010 to present. Vetted by the Expert Witness Directory of Scotland since October 2010 to present. Credited on the film 'Harry Potter and the Deathly Hallows: Part I' as a weather consultant (released November 2010). Credited on the film 'Harry Potter and the Deathly Hallows: Part II' as a weather consultant (released July 2011).